Stocks ended higher Friday after another record high for gold lifted shares of minerals companies. The Dow Jones industrial average rose 16 points, extending its gains to a fourth day. Broader indexes also edged higher. The price of gold settled at a record for a second straight day. That lifted shares of mining companies like Barrick Gold Corp. and Newmont Mining Corp. Dow component Caterpillar gained after reporting higher sales. Other corporate news also brought out some buyers. CVS Caremark Corp. and Walgreen Co. ended a contract dispute that threatened to hurt profits. CVS shares rose 1.9 percent, while Walgreen climbed 2.8 percent. The Dow posted its second consecutive weekly gain. Before that, the Dow had been down for three weeks. Investors have been trying to determine whether the stock market's "correction" is over. A correction is generally considered a drop of 10-20 percent from a recent peak. The Dow has risen back 6.4 percent from its lowest close of the year on June 7, but it's still down 6.7 percent from the 2010 high it reached on April 26. "I don't know that we're totally through the correction," said Stu Schweitzer, global markets strategist at JPMorgan's Private Bank in New York. "I do expect markets to remain quite volatile all through the rest of this year but I still expect that we're going to end the year higher." According to preliminary calculations, the Dow rose 16.47, or 0.2 percent, to close at 10,450.64. The broader Standard & Poor's 500 index rose 1.47, or 0.1 percent, to 1,117.51. 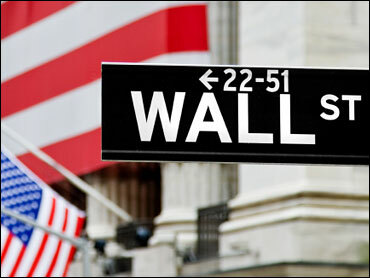 The Nasdaq composite index edged up 2.64, or 0.1 percent, to 2,309.80. Advancing stocks narrowly outpaced those that fell on the New York Stock Exchange, where volume came to 1.8 billion shares versus 1.2 billion the day before. Volume was heavier because of the simultaneous expiration of four kinds of futures and options contracts, which occurs once every quarter.